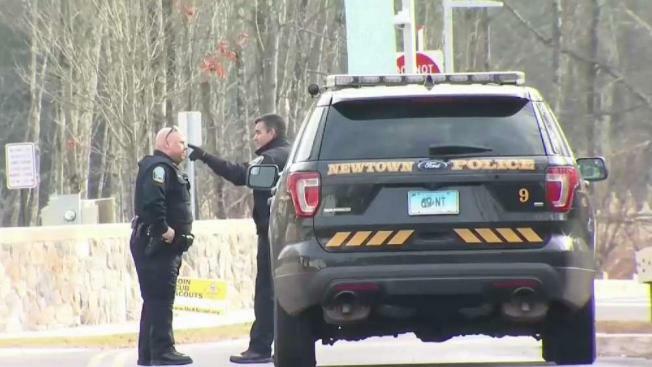 A bomb threat was called into the Sandy Hook School forcing an evacuation and early dismissal on Friday, the 6th anniversary of the tragedy there. Sandy Hook Elementary School students were sent home for the day after a bomb threat forced the evacuation of the school Friday, the sixth anniversary of the massacre that killed 20 first-graders and six educators. Newtown police said a bomb threat was called in around 9 a.m. Friday and the school was evacuated. The threat is not believed to be credible, Lt. Aaron Bahamonde said, but they took it seriously and will investigate fully. No one was hurt and no one was in danger, he said. Nothing was found during a sweep of the school and police left the school ground just before noon. There's a heightened level of anxiety in town on the anniversary and the school superintendent decided to cancel remaining classes, according to Bahamonde. Police are investigating the source of the threat. The community is responding on social media with calls to stand with Newtown on the anniversary of the tragedy. Police said this not believed to be related to the bomb threats made nationwide Thursday. Newtown was one of the communities that did receive two threats.